I previously blogged about how I filed my first Letter of Intent with the NYC Department of Education for my son, Ethan, who has a 2012 birthday. A few weeks after filing, I received a package in the mail from the NYCDOE. The next compliance item for us is the Individualized Home Instruction Plan or IHIP and it is due on 8/15. I’m currently working on ours and will post more when it’s complete. Legally we have to submit 4 Quarterly Reports and an Annual Assessment. That’s a lot of paperwork! What are the homeschool regulations like where you live? Do you have to submit a lot of paperwork? I’ve read that New York has some of the strictest regulations for homeschooling . For anyone who lives in NY, this is probably not surprising! 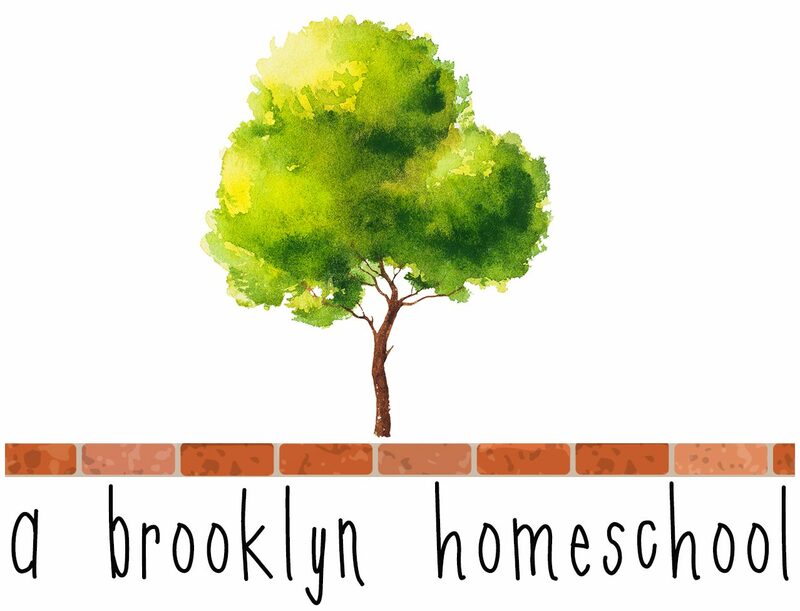 It is exciting to be inching our way towards becoming official NYC homeschoolers. Lillian will be four years old soon! I normally think about what gifts to buy for birthdays or the holidays for months in advance. I love to give gifts and I want to be sure my kids will not only love the gift but that it will inspire their creative play and be worth the space the present will take up in our tiny apartment! I chose these gifts because we already have a Terra Barn from Target and lots of Schleich farm animals. It is the most played with toy in our house. Not only do I know she will love these horse sets to go along with the farm, we already have a designated spot in our house for the farm setup. We don’t need to find a new storage/ organization system. I love adding on to things I know the kids already enjoy. I also love the brand Schleich. The items are high quality and very lifelike! She is also getting two books, because I just can’t give my kids a gift that doesn’t include at least one book. I chose the Wildflowers book because Lillian LOVES flowers and I chose the Story Orchestra book even though we already have one copy because my kids love this book SO much and have such a hard time sharing it! Problem solved. Here are the gifts we purchased for her. I can’t wait for her to open them! Schleich Horse Club Mobile Vet – this is on sale right now on Amazon! I was happy to find this post from Nicole at the Kavanaugh Report with ideas for Montessori materials and activities for a four year old. Lillian is so close to turning 4! Check out this amazing new place for kids called The Muse Gowns that just opened in Brooklyn! How fun! Trapeze classes? Sign me up, please! We recently visited Teatown as a family and had a wonderful time there. Teatown is a little less than a 1.5 hour drive from Brooklyn. We drove and parked in their parking lot for a $5 charge as non-members. First, we visited their nature center which had some local animals on display: turtles, snakes and a salamander. We tried one of their easier hikes first, the Twin Lakes Loop to the Waterfall Trail and arrived at a beautiful waterfall where we enjoyed our picnic lunch. We hiked back via a different trail, the Hilltop Trail. The first two trails were quite easy hikes, perfect for young children. The hike back via the Hilltop Trail was more challenging but we made it! All in all the hiking time was 3.5 hours. Ethan, 5.5 years old was great on the trail and completed the full hike happily! I carried, Lillian who will be 4 next month, in the toddler carrier for about 30-40 minutes along the Hilltop Trail. Other than that she hiked along happily. I’d definitely recommend this hike for families with young children! The kids each had a copy and LOVED it! I thought we’d pick one page to focus on such as “leaves” or “insects” but they seriously found every single nature item in the book. This is probably why the hike took so long, since we stopped to check our book and identify mushrooms, leaves, insects, frogs and tracks. But it was wonderful to watch them be such careful observers of nature. Ethan’s favorite part was finding a frog and climbing near the waterfall area! Lillian loved finding lily pads and lillies floating in the water! I recently purchased this book, Water Land: Land and Water Forms Around the World by Christy Hale, after seeing it on Instagram. It’s a beautiful, simple book which very creatively makes comparisons between water and landforms. It was an instant hit with Ethan who is 5.5. As we move forward I plan to add kinetic sand and water with blue food coloring to our sensory table for him to explore. I’ve also downloaded these 3 part cards from The Helpful Garden to help us learn the land and water form vocabulary. There were many great 3 part cards available for free download on the site. If you follow us on Instagram, I plan to share more of our land and water study there. This was my second time attending AERO as a homeschooling mom. Alternative school founders, leaders and teachers as well as homeschoolers and unschoolers from around the world gathered together on Long Island for a 4 day conference. One of my homeschool mom friends and I attended for 2 of the 4 days. It is always exciting and inspiring to be around so many like-minded people! Sir Ken Robinson keynoted and spoke to us via Skype to close the conference. It was very exciting! We sadly missed the other keynote by Henry Redhead, grandson of A.S. Neill, founder of Summerhill School. Summerhill is considered to be “the pioneer in democratic, learner-centered education” which launched the free school and alternative school movement. I would definitely recommend attending an AERO conference if you are interested and able. I have learned so much and will be sure to attend in the future. Many people who attend the conference have either started or are hoping to start a micro school in their area. It is always exciting to hear about people’s visions for these different, special schools. Homeschooling is just one alternative education option. It makes me so happy to hear about others. This is a link to a short documentary about an incredible school in NYC called Pono. This is a very special and unique place for kids age 2-12. Sara from Happiness is Here says it well! The host, Denaye Barahone, gives a refreshing reminder about the importance of play. Living in NYC where school and academics are pushed at such an early age, I am so grateful for her voice on such an important topic.